Confession time- I love new school supplies and school supply shopping. I love everything about it. I love the smell of freshly sharpened pencils and new, unused crayons. I love notebooks that are clean and have no writing in them. I love organizing new binders with beautiful dividers. Call me a nerd, I don’t care. I’ve had an affinity for school supplies since I was a child. I always loved the week before school began when we would get new supplies and I would spend hours organizing them. I would smell them and enjoy the newness before they would be defiled by school work over the next few months. To this day, outside of book stores, office supply stores are one of my favorite places to linger. I love a new pen and clean notebook. And, now that I have school-age children, I get to live vicariously through them as they school supply shop. Of course, we have piles of half used pencils and stacks of partially written in notebooks at home. But, I wouldn’t send those to school with my kids the first week. No, they have to have brand new supplies. The new school year needs to begin afresh. There is plenty of time for them to use supplies that aren’t new as the year progresses. 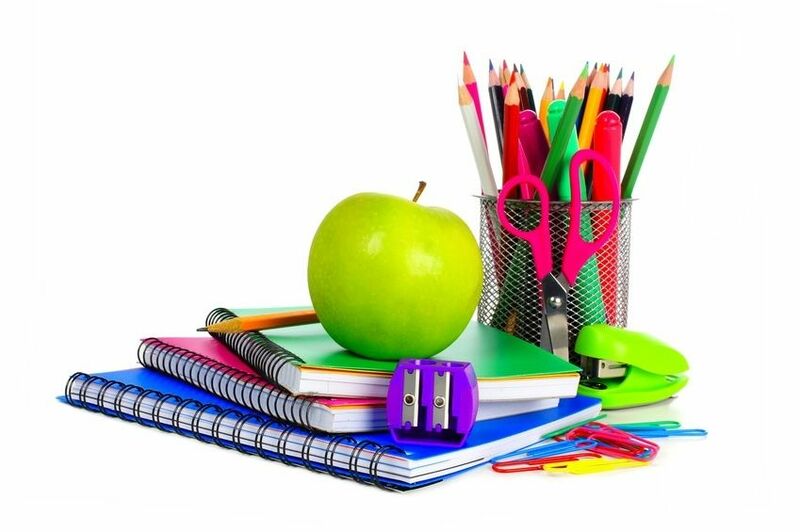 The first week of school is the time for new supplies. Let’s talk context for a second. Jesus has just healed a paralytic which awed the crowd and then He called a sinning tax collector to be one of his disciples. The Pharisees (Jewish religious leaders) are starting to get a little annoyed. Who does this man think that He is? Healing people in the name of God? Inviting sinners into His ministry? They decide it’s time to approach Jesus and tell Him how wrong He is and how He’s not following the law. They do this by trying to trap Him. They ask him why His disciples don’t fast as prescribed in the law like John the Baptist’s disciples. They try to pit the Son of God against the law of God and against a prophet of God. In typical Jesus fashion, He turns their questions and accusations back on the Pharisees. The Pharisees were so entrenched in the law and how things were supposed to be done according to tradition, they couldn’t see the new thing Jesus was doing. They were so stuck on following the law and convincing themselves that they could make themselves righteous through their own efforts, they couldn’t see the grace and new covenant that Jesus was ushering in through His ministry. They were trying to make Jesus conform to the old ways of tradition and how things “should be done”. They were blind to what God was trying to accomplish. And, Jesus calls them on it. His new ministry and the new covenant He was activating could not be sewn or poured into the old cloths and containers of the law and tradition. It was brand new. What He was ushering in needed to be put on new garments and in new wineskins. When we begin our new walk with Jesus, the old has to be put away. Our old thoughts, worldview, behaviors and practices have to be done away with so that we can start afresh with Jesus and be the people He’s called us to be as His ambassadors. We can’t start this new life with old supplies. Everything has to be made new. We can’t try to infuse the new with the old. No, a main aspect of the Christian life is to continually, day by day, with God’s help put away our old self so that we can walk in newness of life with Christ. Only then, can we be the men and women He’s called us to be and minister to others in the ways He’s designed for us. As you enter this new school year or new phase of life or whatever new thing God has called you into, remember that we can’t put new ideas into old mindsets and we can’t get new results with old behaviors. As we replace the old thoughts, behaviors and patterns with God’s word and the love of Christ, we will be able to walk in a manner that reflects that we abide in Jesus and our life won’t be able to be anything but a pleasing fragrance to those around us.